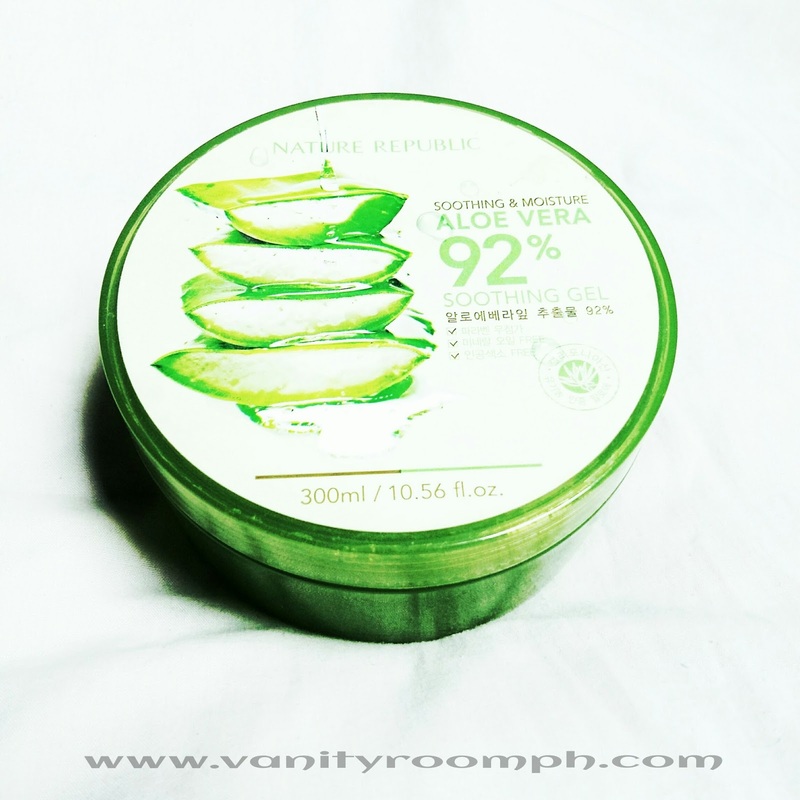 I have read lots of positive feedbacks of Nature Republic's Aloe vera soothing gel. So I got intrigued and purchased my own to try. By the way, this was included on the orders I've made from Althea Korea. Let's make this review quick because I'm sleepy na. I'm writing this review right now at exactly 2:03 AM April 30, 2016 haha so let's proceed! 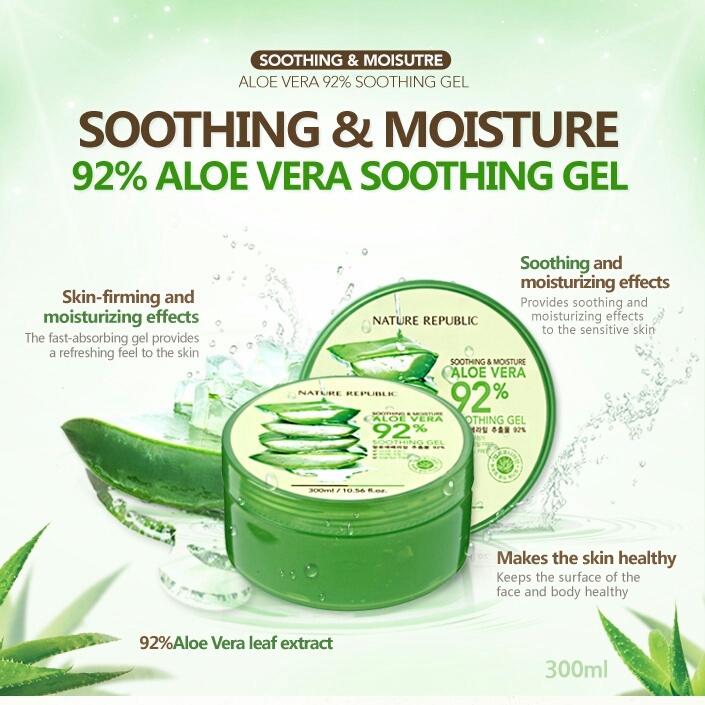 So it's 92% Aloe vera and 20% Glycerin. Wow! Bonggels haha. Anyway, some brands have 98% wower! Wower?? Hahahaha. Alright! So I used this product twice a day for two weeks as my moisturizer. Let's talk about the pros first or the cons? Ok let's go with OR haha let's start with the negative side. I hate that this has a tacky feeling every application. Well it's understandable because it has glycerin. The stickiness disappears after few minutes like 54 minutes. Of course that's a joke haha. Like after 2 to 3 minutes it's all good. I also don't like the container. Dude! It's really unhygienic! Meged, they didn't even provide a spatula or something to use a scooper since it comes in a big tub. It doesn't help much in my acne problem like what others claimed. It's just simply a moisturizer for me. A good moisturizer indeed. I like that it acts like a primer on my face too, it helps the application of my bb cream easier. It also helps maintaining an oil free face. Seriously it helps. After 6 hrs pako nag bblot eh usually 2 hours palang tinatawag nako ng blotting sheet ko haha. It's really soothing and refreshing. I didn't see drastic changes on my skin except that my face was well moisturized and the redness were lessened. For me, Nature Republic's Aloe vera soothing gel was just a nice moisturizer. Nothing fancy, nothing extraordinary. Will still use it if I have sunburns. It is so huge so perhaps it will last me up to a year or two. Have you tried it? Share us what you think so it may help others. Feel free to leave a comment below.